He had a tough swim apparently, (those who know of Stephen know those words seem unusual together). 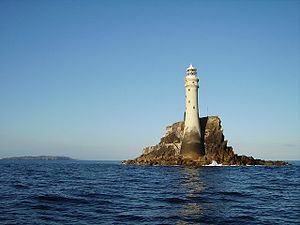 Stephen is the first (and only) person to solo Fastnet Lighthouse. 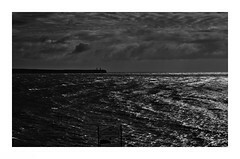 Fastnet might mean nothing to you, unless you are a sailor or Irish, but it’s some of the most fearsome open water in Atlantic coastal waters due to huge swells and wind. Don’t have a time yet. That’s English, Gibraltar, North and Catalina Channels from the Ocean’s Seven done! Next he’s off to Hawaii for Molokai. Go Stephen! With the North Channel already done for him, and if he can find the funds, he might catch up with Penny Palfrey in the chase. Or maybe first woman, and first man? Wow, this is exciting. Really looking forward to this year’s Irish Channel party in three weeks.